...The new & trendy way! It’s How You Look When You Say It! Have you been to an exhibition lately? Have you noticed how more and more exhibitors are switching from Roller Banners and magnetic display kits to the next generation Fabric Displays? Our new exhibit range gives you the tools you need to emphasise your message. For the first time, create eye catching displays, without the eye watering price tag! We have invested in the very latest, high-end, direct-to-fabric printing technology – the first of it’s kind in the UK. Our production hub employs talented seamstresses and technicians, ready and skilled to turn your ideas into wonderful fabric realities! 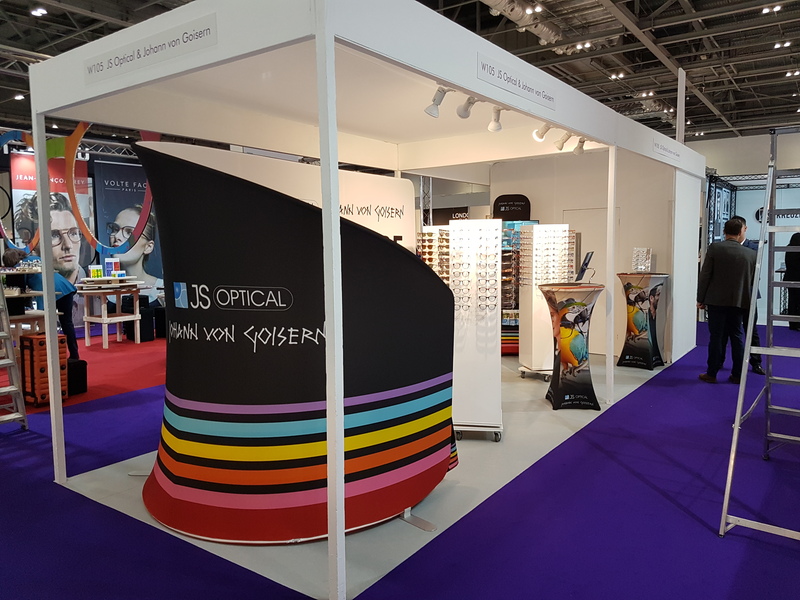 Seeing really is believing, we have some great videos to show you but why not pop in to see us and we can show you some examples of our creative exhibition displays and solutions. The increasingly popular Display Booths are certainly something to consider at your next exhibition. Talk to us! Exhibition Displays with fabric are more impacting, lighter, great value and super easy to put together, that’s why! You don’t have to worry about lining up panels, continuous graphics mismatching across sections or lugging equipment around. The bigger the fabric display, the better! They just look great and really create that first impression you want with potential new clients! 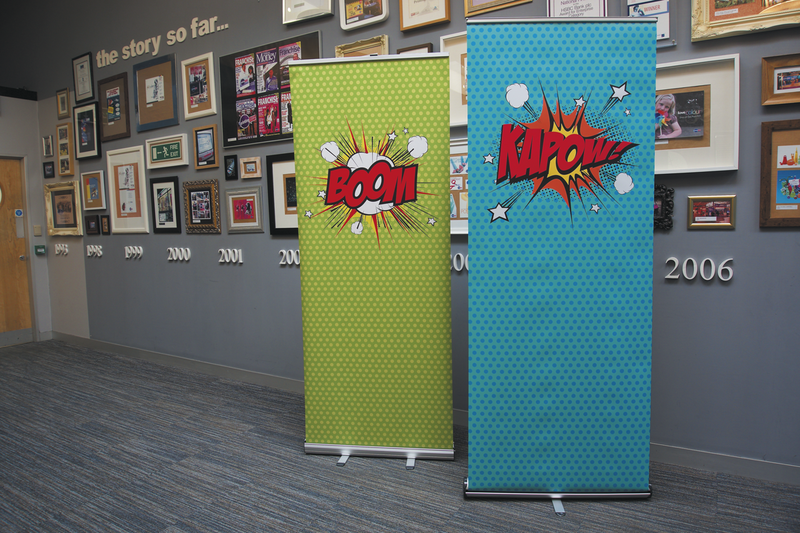 Our Fabric Displays don’t have to just be for a show or exhibition, you can make use of our creative fabric to add some pizazz and fresh interior to your office! Create a nice working environment with branded room dividers, sound booths, huddle booths or flags for outside. Forget the old school magnetic exhibition displays and foamex boards. Think Fabric. Think BIG! 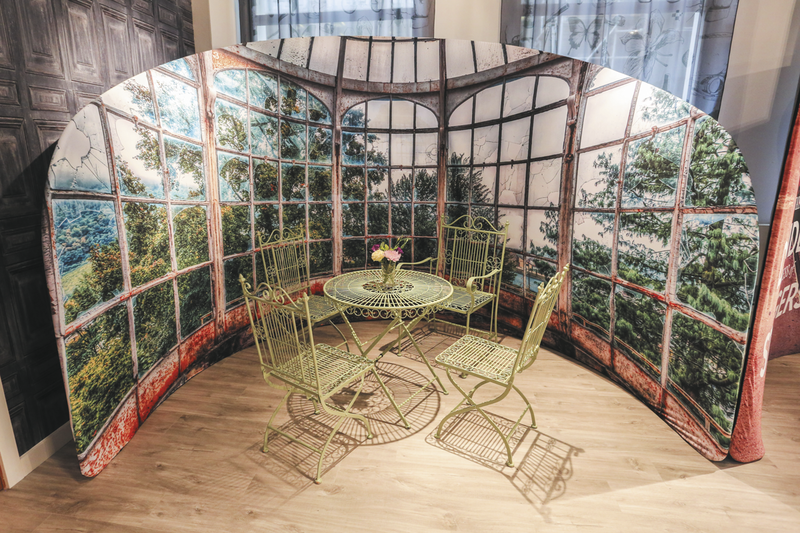 Create the setting for your environment with a Curved Backdrop Stand teamed with some great photography and design to set the mood. Add in a Huddle Booth and some stools to invite people in for a chat. Why not add in a Mojito pop up table to complete the look! Make sure you have one of our Pop Up Kangaroo Literature Stands propped somewhere for your important marketing documents, or for the technically advance, try our Peacock Media Display Stand and add a tablet or big screen! A work space that is enriched with art is better for productivity! Art and creativity can boost well being and reduce stress. People work differently than they used to, with phones, tablets and laptops, the tools of work are smaller and you can be more fluid about where you base yourself. Office design is moving towards creating different zones for different activities. The likes of Pixar & Google are all over this! 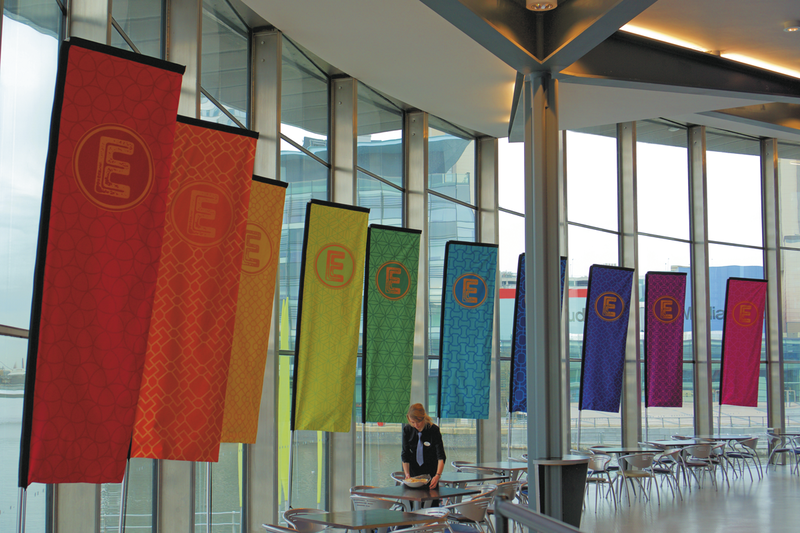 Fabric is not just popular for exhibition displays – it’s also a hit with corporate offices. 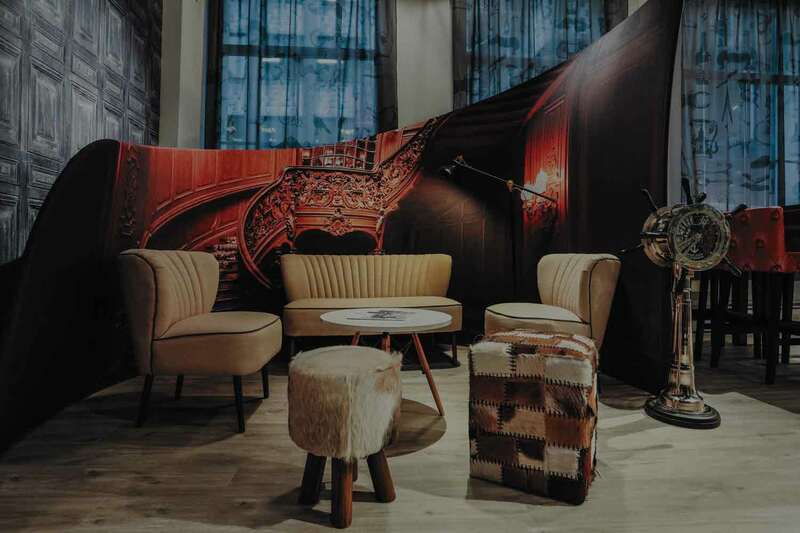 Use one of our fabulous booths to create a secret meeting place for your one to one’s with colleagues or reviews with clients. 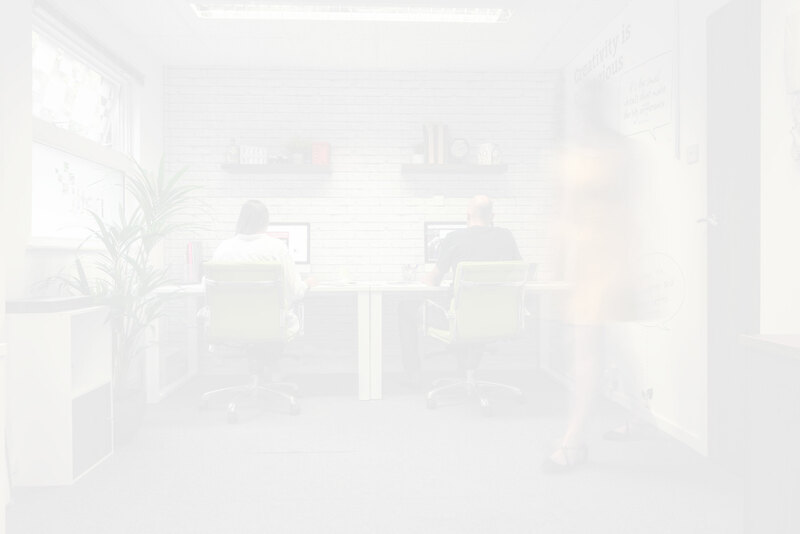 Do you have an open plan space with existing office partitions? 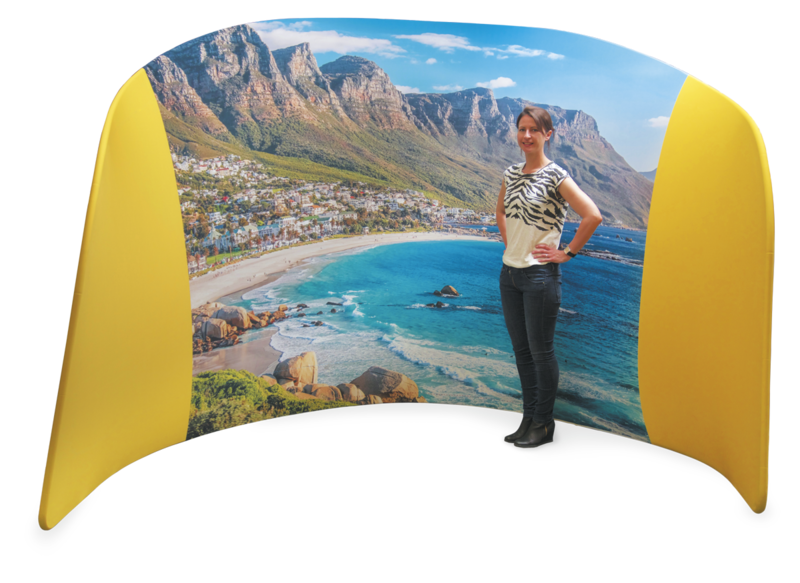 Why not slide over a fancy double-sided Soundwall sleeve, printed on special acoustic fabric. Make a chill-out space for your colleagues to take 5 minutes and tune out with our large beanbags, foam cubes or bar stools! 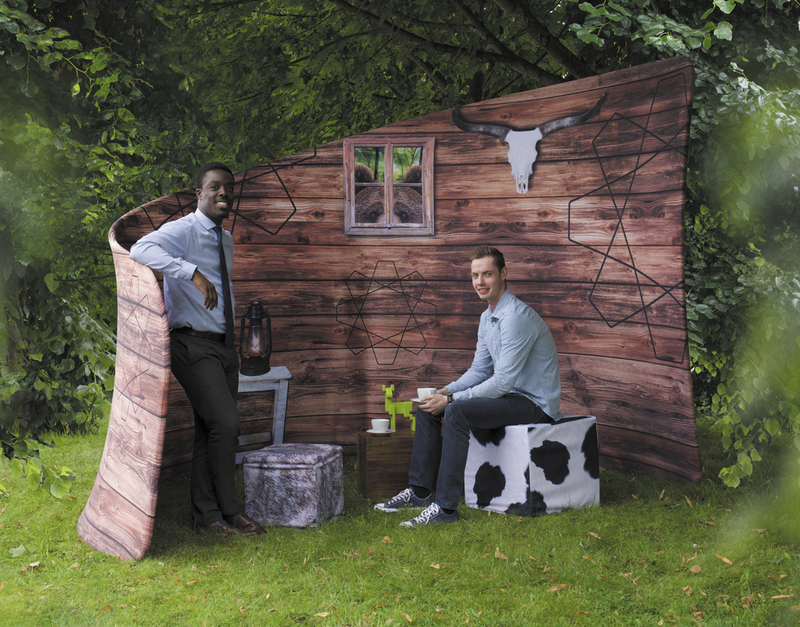 Printed gazebos are all the rage at farmers markets, festivals and fairs. Compact for storage and pops up and locks into place! 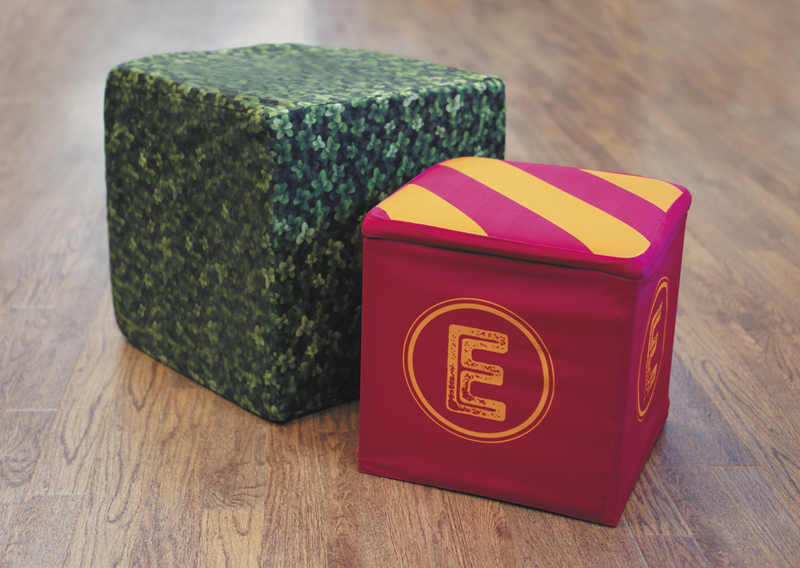 Our new range of printed seating can be used outdoors too! Our branded wooden deck chairs are definitely a favourite. Our impacting branded flags will definitely boost your awareness and promotion & stand. Just make sure they are teamed with great design for maximum impact!